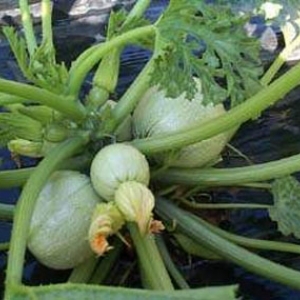 Remember I complained that our zucchini was a zilchini? Today we harvested the one and only that was bigger than a worm. 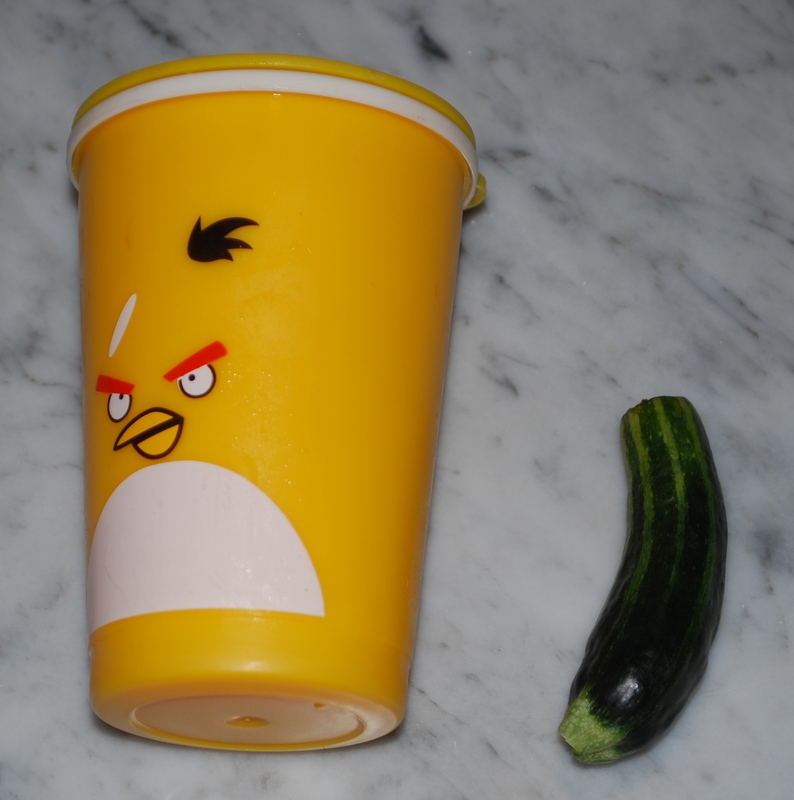 Here is is, next to my 250ml angry birds cup. 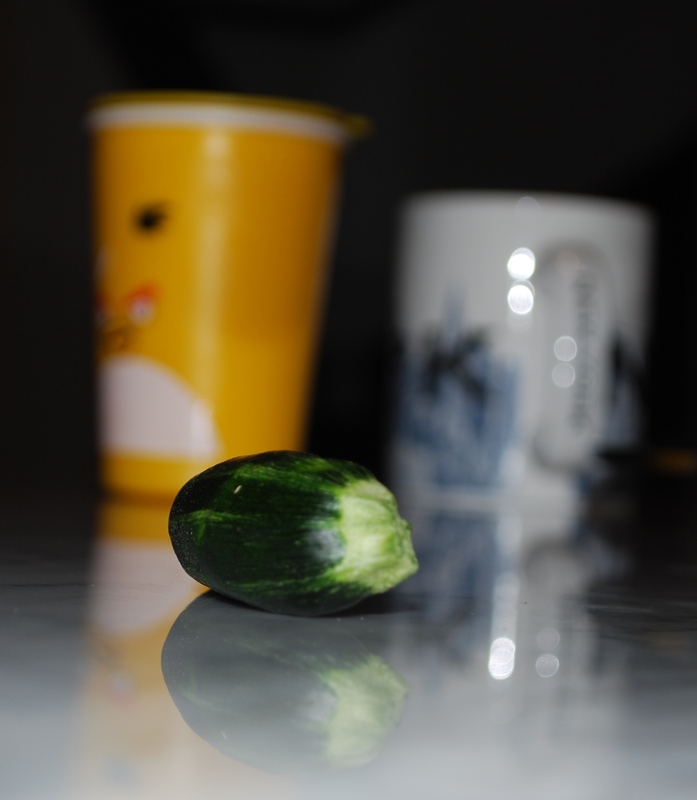 As you can see, it is about the size of a snow pea. Mummy says it is a waste of space and time. This means – as you know – off with its head. I did take an artistic shot of it, though, see? Somehow the male flowers are missing and the female flowers don’t open. 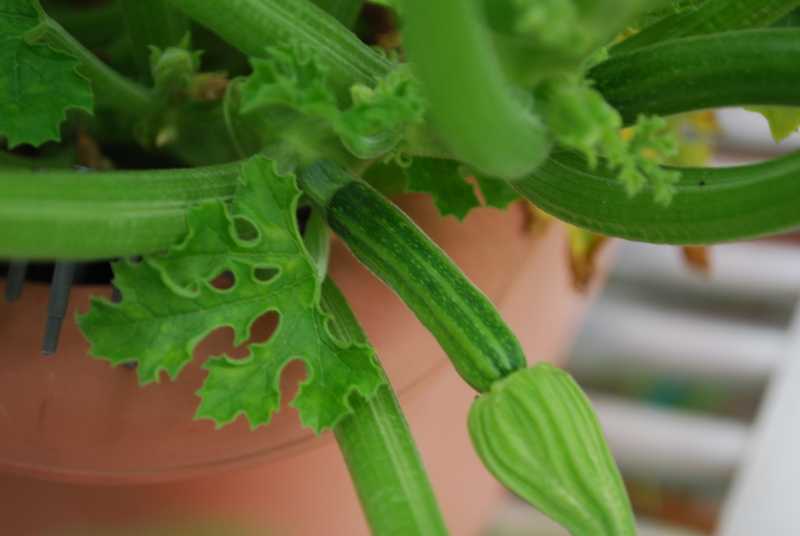 Also, don’t you think this is a long stripey zucchini not a round one? 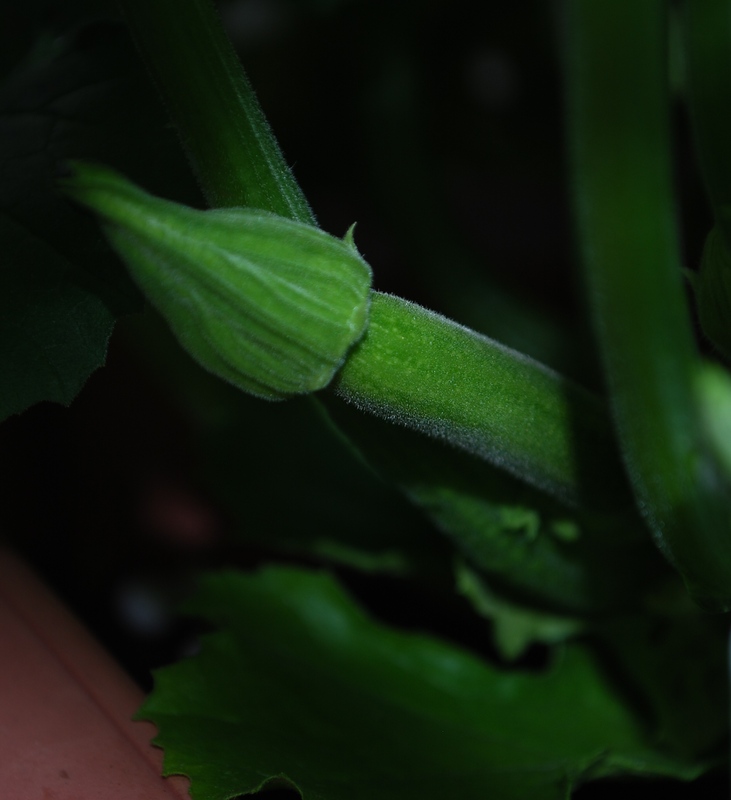 I posted about zucchini already. But look what I saw today, hiding under its bush of leaves? Hooray!!! 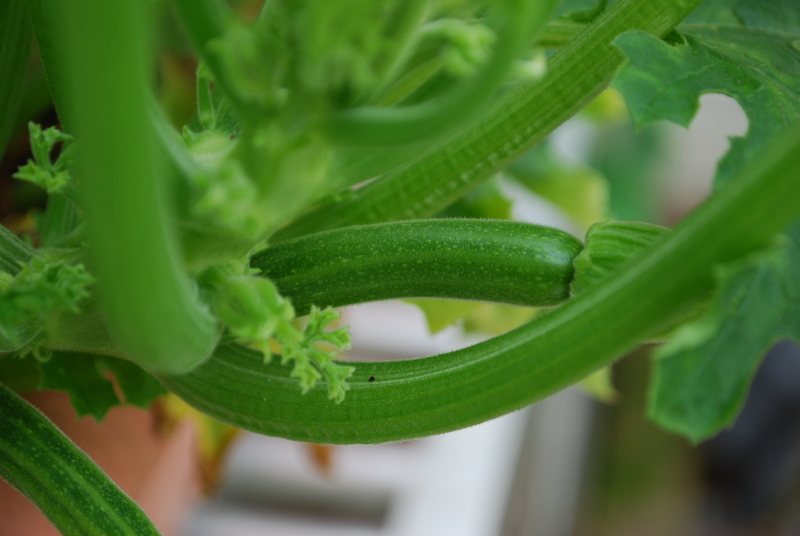 PS I am a bit worried because the rondo de nice zucchini is supposed to be ROUND not cucumber-like. 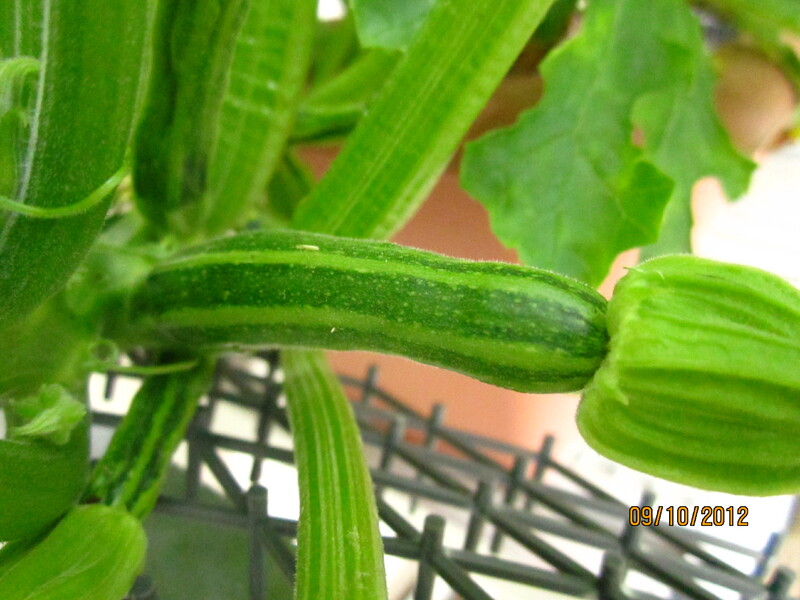 Mummy will complain it is a lying plant (like the eggplants) and start carrying her scissors around. Its leaves are like thistles or nettles – I know about nettles because I walked into a nettle patch in Regent’s Park in London when I was smaller. 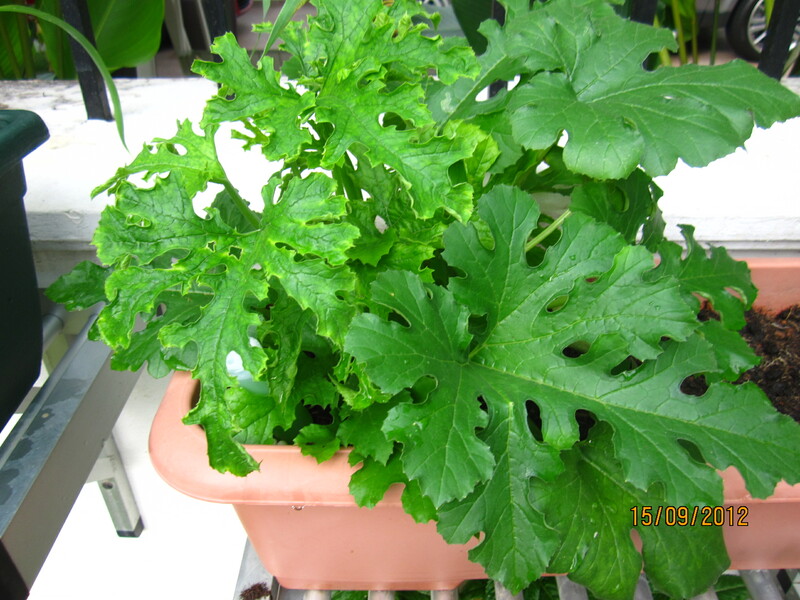 Our plants are much greener and budding – look below!